Follonica is a larger seaside town in southern Tuscany. It is a well-known holiday resort with many beaches in the area. 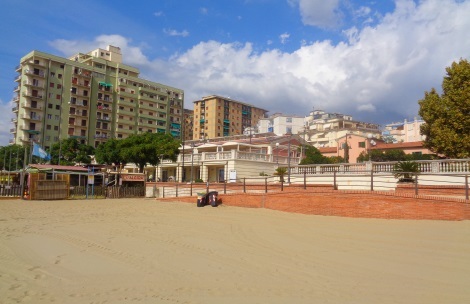 Follonica (22.000 inhabitants) can be easily reached by train. The place name is emphasized on the second o (Follónica). The Acqua Village is a leisure park (water park) with many slides, swimming pools and much more. 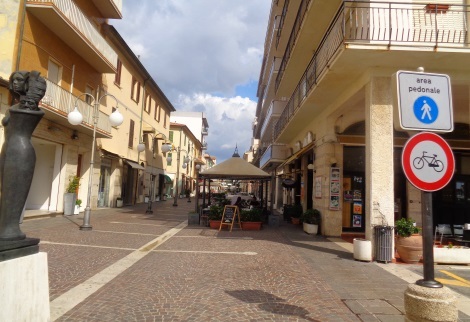 The Acqua Village Follonica is behind the village, a little more than 1 km from the centre and the sea. If you don’t want to walk, you can also take the bus. The train station is about 250 meters from the sea. It takes about 10 minutes to get to the city centre. Intercity trains also stop in Follonica and run along the west coast of Italy between Pisa and Rome. There are also local trains on the same route. 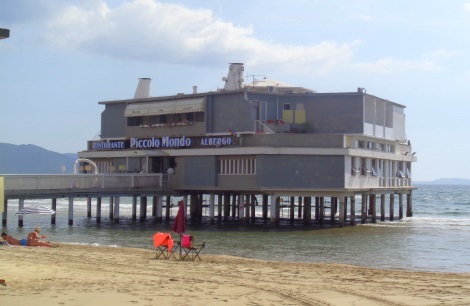 You can reach Pisa, Livorno, San Vincenzo and Grosseto by train every hour from Follonica. At least every 2 hours there is a direct train to Rome. Also further north (La Spezia and Genoa) there are direct, fast trains. If you want to go from Follonica to Florence, the capital of Tuscany, you usually have to change trains in Livorno or Pisa. 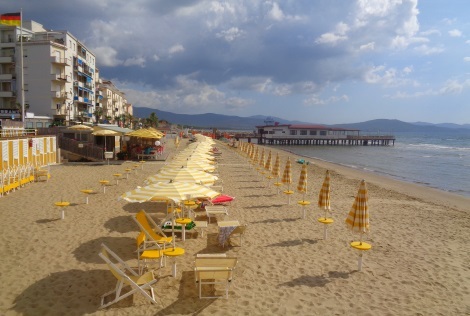 So there are many possible day trips by train if you choose Follonica as your holiday destination. The small town is in the southern Tuscany directly at the Mediterranean Sea not far from the island Elba.